It's no surprise that yet another good album comes out of San Fransisco, CA. Singer/Songwriter Katie Garibadli, however, raises the bar. Katie is no stranger to music as the owner of her own record label, Living Dream Music, a recording artist and touring performer. On her sixth full-length album, Next Ride Out, she showcases her skills as a true Americana artist. From the first notes of Say the Word, one can't help but notice Katie's outstanding voice bringing to mind such established acts as Sheryl Crow and Ani DeFranco. Katie's style is very genuine with a little edgy vibe thrown in similar to the grungier Alanis Morisette. Lyrically, Next Ride Out, stands out from the crowd, giving a well thought out representation of soul, truth and understanding of life. This album is kind of a hybrid of mid 90s rock and true roots americana. It's the kind of music you could easily hear at a huge concert or just as well beside a campfire. Katie has a very distinct style of her own as demonstrated by Went Too Far (Foot in my Mouth) and the more mellow Falling For You. 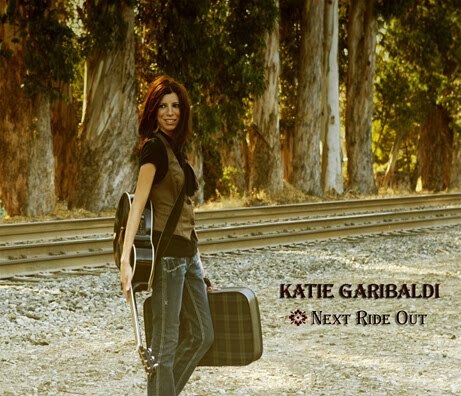 With a voice you can listen to all day long, Katie Garibaldi has emerged with plenty to say and the skills and musical know-how to create a unique musical art that will be around for generations. 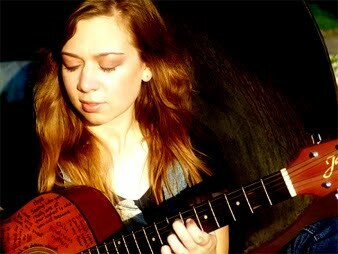 Californian singer/songwriter Paulina Logan has one of the most natural-sounding styles in the music industry. Her edgy yet peaceful, melodic and powerful voice captures the emotion of her songs with integrity and style on her latest album If You Try. Paulina’s captivating songwriting talents are entirely evident throughout this album as her songs catch your attention and draw you in. 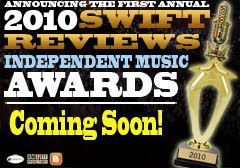 2010 Swift Reviews Independent Music Awards! To have your CD reviewed, please submit your EPK through Sonicbids. If you've already sent your CD in for review, please be patient. I try to accept as may artists as I can so I get stacks of CDs in every day. If I selected you, I will review your CD in the order in which it was received. I am a music journalist as well as a musician with numerous years of experience in the industry. I have worked with indie labels throughout the country and shared the stage with several legends in music. I started this blog as an outlet for musicians at all levels of their careers to be able to find and receive reliable press for their releases.